Here at The Studio, experience trumps everything. Through a fun, positive, and challenging experience, kids, teens, and families find confidence, passion, and life-long friendships. We also seem to believe in commas, because there are seven of them in that last sentence. Our goal, through professional instruction, is for every Studio student to feel welcome, loved and valued…because they are. 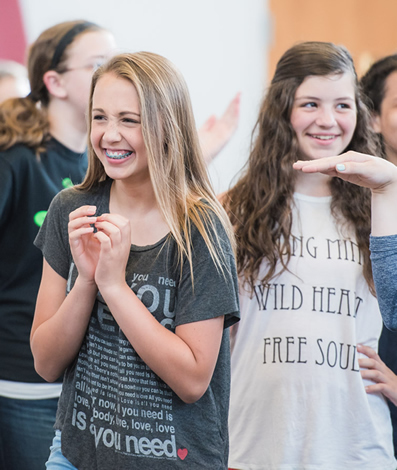 We’re geeks about the arts and truly believe that learning is fun, and as such, we lean toward pushing kids beyond limits while having a blast along the way. 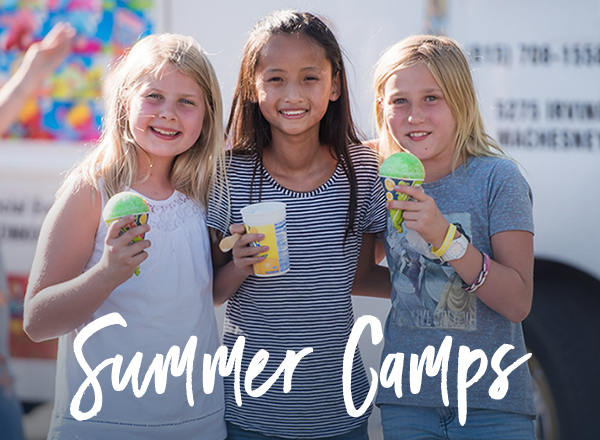 Parents, we know you’re looking for things to sign your kids up for in the summer—but more than that, we know you’re not willing to sign your kids up for just anything. 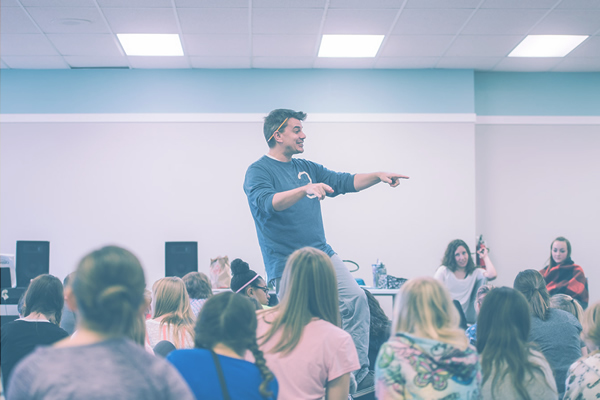 Here at The Studio, a summer camp is more than just glorified childcare with a T-shirt…it’s a safe place where kids can let their inner spot-lit star shine with a ton of new and familiar faces! If you’re amazing with a hairbrush microphone behind the closed door of the bathroom, you are welcome here. If your parents are constantly telling you to “quit using funny voices,” you are welcome here. If your idea of a fun time is sitting at the piano figuring out the Zelda: Breath of the Wild theme song, you are welcome here. Your smiling face belongs next to the amazing kids (Paige and Brielle, we see you) on the right. If you sing, act, dance, perform, play, move, joke, or create…we’re holding the door open for you. Come on in!